The committee of Aberdeen Civic Society has studied the proposals for the re-development of St Nicholas House by MUSE under planning application number 140698. The Civic Society is disappointed with the proposals for the site, which sits in one of the most important and prominent parts of the city. Other cities in the UK seem to have an ability to add value and to build on existing heritage, but in Aberdeen we seem to struggle despite having inherited from previous generations some of the most beautiful buildings in the world that are built with the most wonderful materials in the world. Aberdeen City Council made a great job of bringing back into use Marischal College; and this is an example of what can be achieved should there be a desire. However, the proposals for the re-development of the St Nicholas House site are, sadly, a different story. The council retains an involvement with the MUSE proposals for the re-development of St Nicholas House as owner of the site. It is therefore a key player in determining what happens to it. Unfortunately it appears to us that someone in a decision making capacity has been influenced by the financial projections of what could be achieved by increasing development density rather than making decisions based on what is good for such an important site in the centre of Aberdeen. The proposals that are being brought forward should respect the existing buildings of Marischal College, Provost Skene’s House and the street elevation of Upperkirkgate – but they do not. Crucially the proposals do not even respect adopted council policies for the development of the site, policies that have been through thorough and extensive public scrutiny at a time before detailed proposals were on the table for consideration. Despite all of the prior public engagement and consultation over a great many years we feel let down at this late stage in the process for the re-development of the site. We are therefore disappointed that in making our objections known we have to point out to the council that so much of it fails to comply with their own existing and adopted policies. Despite adjustments having been made as the application went through its pre-application public consultation phase, we feel that the overall density, massing and scale of the development is over-powering bearing in mind the site’s important location and compared with its surroundings. Our comments relate specifically to the box-like appearance that is probably 3 storeys too high and lacking the variation and interest that is so characteristic of Aberdeen’s existing skyline. The whole development needs to be more human in scale and properly take its place and setting from the buildings that are around it; the elevations, form, density, scale and massing of Marischal College and Upperkirkgate – buildings that tend to punctuate the skyline of Aberdeen rather than flatten it with large horizontal roof structures. Details of specific policies and paragraphs are in Appendix 1 to this submission. In the light of these policies and supplementary guidance, which have been through extensive and wide reaching prior public engagement, it is hard to believe that the heights of buildings proposed in the application comply with existing policy. It is even harder to understand how professional people can describe in words such as “slightly” when comparing the heights of the new buildings to those of the Broad Street elevation of Marischal College and the listed buildings of Provost Skene’s House and Upperkirkgate. How can it be that the applicants architect (Halliday Fraser Munro) and heritage advisers (Hurd Rolland) say in application reports that the building heights are only “slightly” higher than adjacent buildings, when in fact they are probably closer to double the height. The Civic Society has concerns about the height of buildings and uninteresting street level approach taken to the design of new buildings on Flourmill Lane. The opportunity of this development to improve the pedestrian experience in Flourmill Lane has not been taken, it being relegated to a delivery or service area flanked by extremely tall buildings. More could be made of access to Provost Skene’s House from Flourmill Lane. We remain to be convinced that the pedestrianisation of Broad Street is beneficial to the traffic flows in Aberdeen. Increased usage of Union Terrace, Schoolhill and Upperkirkgate for bus traffic will only diminish the pedestrian experience on these streets, which at the moment is relatively pleasant. Much glass has been used as a building material in the proposals. If this is retained, having it mirrored will at least provide a reflection of some of Aberdeen’s historic architecture from adjacent buildings. We do not have a problem with the principle of development on this site but feel that the existing proposals do little to enhance and celebrate its historic surroundings. We have grave concerns about the scale and bulk of the proposed design. We feel that more could be done to improve Flourmill Lane and access to Provost Skene’s House. We remain to be convinced about the pedestrianisation of Broad Street. We would appreciate it if these points are taken into consideration in the council and Scottish Government’s decision making on this proposal. Adopted Supplementary Guidance is also relevant and needs to be taken into account when considering the bulkiness, massing, scale and shape of the new development when compared to some of the adjacent historic and landmark buildings. “In creating new public route connecting Marischal College with St Nicholas Kirk, the masterplan integrates the shopping centres more strongly with the public realm. In addition the new footbridge across Schoolhill enables easy accessibility between the upper levels of the city, from the new Civic Square to St Nicholas Centre and the Bon Accord Centre. The scale of proposals is commensurate with a thriving modern city centre. There is demand from retailers and their customers for larger modern shop and urban environments with good transport connections and car parking. In all, proposals will increase the amount of retail space within the masterplan area from 55,740 sqm to 74,300 sqm, an increase of some 33%. “Aberdeen is a city of unique qualities and it is the intention of the masterplan to preserve and draw upon these qualities within an improved city centre environment that enhances the shopping and leisure experience. 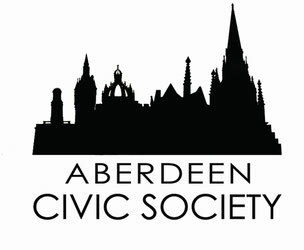 Central to this ambition is an understanding of how the unique sense of place of Aberdeen is created and how the masterplan can build upon that in the future. “The masterplan will provide an improved setting for Provost Skene’s House. Historically the house was tightly enclosed within the dense medieval townscape. With the redevelopment of St Nicholas House in the late 1960’s this setting was lost. The objective of the masterplan is to create a smaller scale court to the main front, similar in plan to the existing garden. This court will be surrounded by 4-5 storey buildings, possibly including a hotel, with a smaller scale 2 storey building screening the loading bay and customer pick up to Marks & Spencer from the court. The rear of Provost Skenes House was, at one time a solid wall with other buildings built up against it. The workshop called for Provost Skene’s house to be linked with a possible Arts Venue or Visual Arts Centre. This could be achieved by creating a modern glazed structure or atrium to house this additional use or to provide a physical link to other spaces within the masterplan. Building heights should be no more than five storeys on to the square to match the overall height of Marischal’s College. There is the possibility that this might increase to six or seven storeys away from the square in the location of the proposed hotel which is the site of the existing 14 storey St Nicholas House.